Calling the procedure “vital,” United Kingdom leasing company Activa Contracts earlier this month offered a recalibration deal to fleet clients. Fleet clients which use Autoglass to replace a windshield can have their advanced driver assistance systems recalibrated for about $214 plus value-added tax, Activa wrote in a July 7 post on its news blog. (The exact charge is 165 pounds plus VAT.) Activa is part of what it called the largest independent European dealership chain, the Arnold Clark Group. Autoglass already had launched its own recalibration initiative. In April, it announced it has fully expanded what had been a pilot calibration program to all of its entire United Kingdom operations. It projected then that the procedure would be needed on 40 percent of the country’s fleet by 2020. 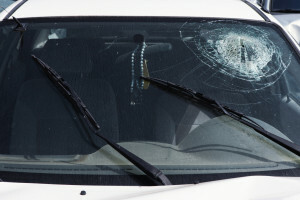 Like Autoglass, Activa expressed concern that not enough people grasped the importance of the procedure, which is necessary after collisions or even just glass replacement to ensure safety technology like sensors and cameras properly protect the driver. It noted on the blog that 95 percent of all European NCAP-tested models had autobraking, one of the systems which may need such recalibration. “We have heard reports of some franchise dealers charging hundreds of pounds for recalibration and that could potentially put off fleets from having this vital work done,” Activa sales and marketing director Lisa Temperton said, according to Activa’s blog. “Alternatively, in some cases it could mean them turning to backstreet garages.”Activa felt the $214 bill was “a very good price,” Temperton said, according to the blog. We’re by no means suggesting $214 is the only rate that could or should ever be offered to recalibrate a system. Autoglass in this case might have made the decision to trade volume for such a flat rate, and that’s its prerogative. It’s also another repairer’s prerogative to charge vehicle owners a different amount, or perhaps itemize different procedures necessary to perform the repair in front of them. However, the Activa-Autoglass stance provides another example of how various collision repair stakeholders — in this case, a fleet manager — are addressing the reality of systems which frequently require recalibration and the seriousness of failing to do so. Activa echoed Autoglass on how a small misalignment can throw off the system. 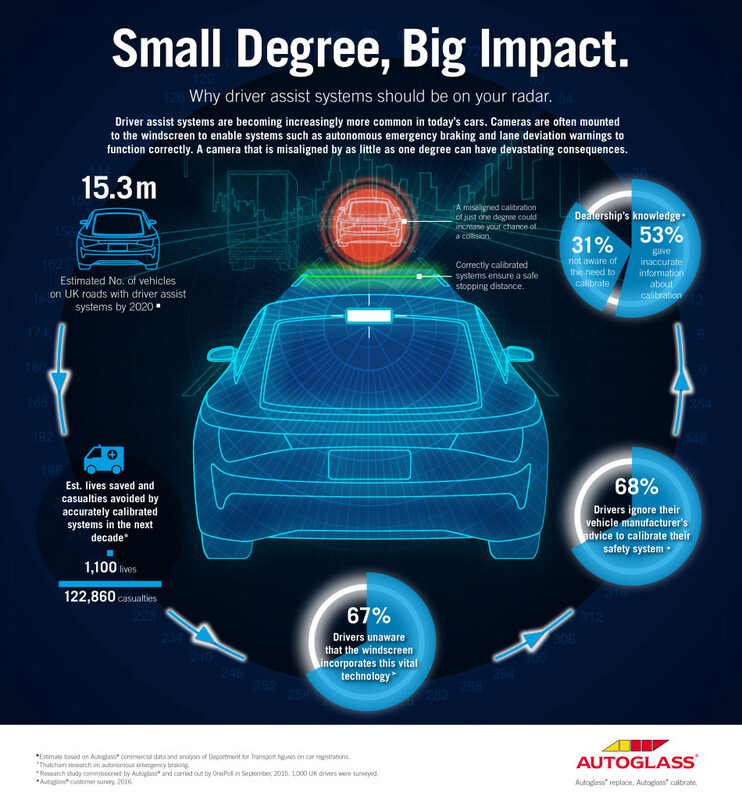 “If the sensors and cameras that the systems use are misaligned by as little as one degree, the consequences can be devastating, particularly at higher speeds, as they will fail to detect and analyse driving conditions correctly in order to warn drivers about potential hazards or take corrective actions such as autonomous emergency braking,” Autoglass wrote in April. While not necessarily related directly to the type of systems requiring recalibration following a windshield replacement, a tidbit in a recent AAA release also points to the reality of vehicle electronics requiring special attention.